"Rob will remain in our hearts forever..."
Robert Joseph Dyson, 34 of Watertown, NY, died suddenly in a tragic accident on Saturday, October 6, 2018. He was born April 29th, 1984 in Geneva, NY to Earl and Dawn Dyson. He is survived by his Son Isaac Dyson; his Mother Dawn Dyson of Seneca Falls, NY; one Brother Derek (Anne) Dyson of Geneva, NY; Grandmother Eileen Dyson of Seneca Falls, NY; Father and Mother-in-law Thomas and Linda King of Amsterdam, NY; Brother-in-laws Christopher (Kerri) Schramm of Long Island, NY, Thomas (Bethany) King of Fultonville, NY; one Sister-in-law Jennifer (Floyd) Guerin of Chazy Lake, NY; his nieces, nephews, aunts, uncles, and cousins. He was predeceased by his father, Earl Dyson of Seneca Falls; Grandparents Joseph and Edith Felice of Seneca Falls; Grandfather Robert W. Dyson of Seneca Falls; Aunt Robin L. Fuller of Columbia, SC; and Uncle Gary Felice of Waterloo, NY. Robert passed along with his loving wife Mary, three Sister-in-laws Abigail Jackson, Allison King, and Amy Steenburg, and Brother-in-laws Adam Jackson and Axel Steenburg. 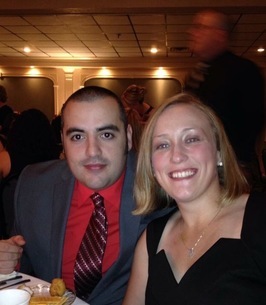 Robert grew up in Seneca Falls, graduating from Mynderse Academy, and Clarkson University with a degree in Engineering. He was employed by Stebbins Engineering in Watertown, NY. Robert was a member of the Star Spangled CrossFit gym in Watertown, where his wife Mary was a coach. Robert also became a member of the Iota Kappa chapter of the Tau Kappa Epsilon fraternity in Fall 2003, while attending Clarkson University. The people that he met while there became strong lasting friendships and he will be sorely missed. Robert loved spending time with his wife, beautiful son, and family. He had a great personality and was always there to make you laugh. He enjoyed various sports, gaming, and building computers in his spare time. Robert and Mary were both very active parents, always wanting to show Isaac the world. Calling hours will be Friday, October 12, 2018 from 3-7pm at St. Stanislaus Church, 50-52 Cornell St., Amsterdam, NY. Mass of Christian burial will be celebrated on Saturday, October 13, 2018 at St. Stanislaus Church at 1pm. Additionally, there will be calling hours held on Saturday, October 20th, 2018 at Doran Funeral Home, 4 East Bayard Street, Seneca Falls, NY, from 11am to 1pm with a private burial at the convenience of the family. A celebration of life will be held following calling hours. In lieu of flowers, donations can be made to Archer and Elle Jackson and Isaac Dyson for their futures. 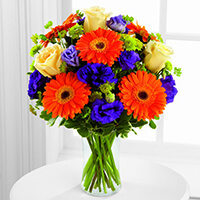 To send flowers to the family of Robert J Dyson, please visit our Heartfelt Sympathies Store. Funeral services and burial will be at the convenience of the family.